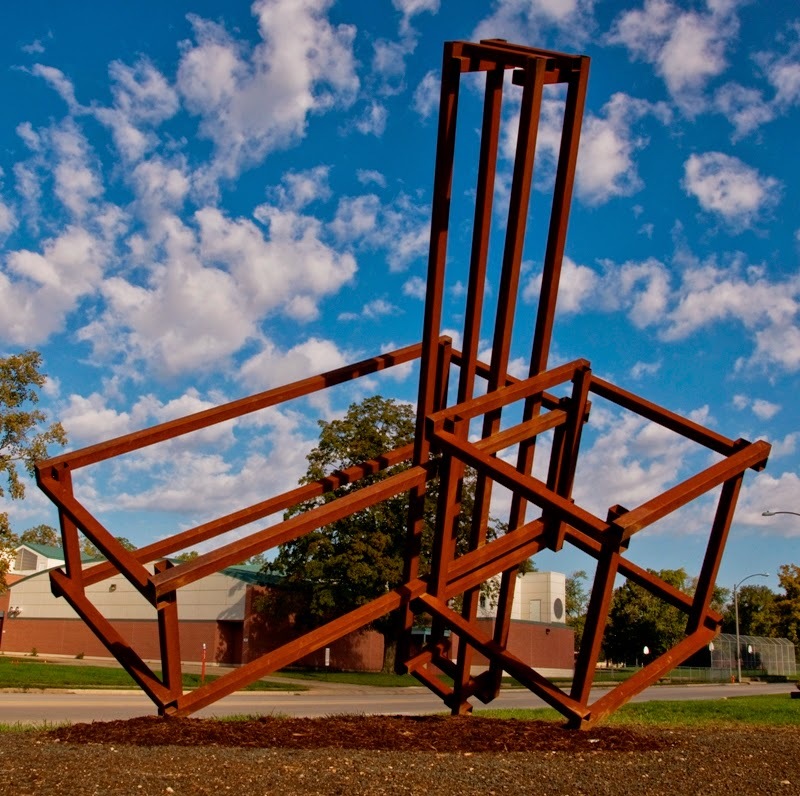 Join us the evening of Thursday, December 11, 2014, as we celebrate the installation of 10 new sculptures in the Champaign-Urbana area over the past year. 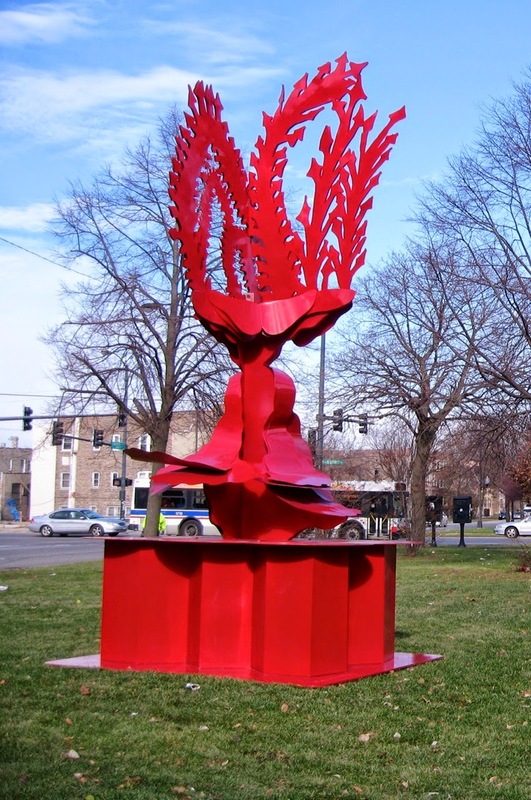 For added reason to celebrate, with your support, the Public Art League just installed its 50th sculpture in the community since our formation in 2010! 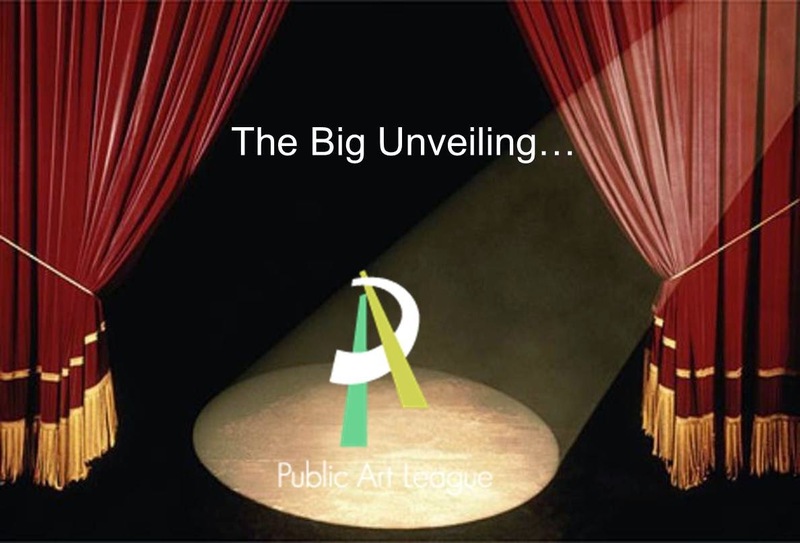 Please join us for a night of food, drink and friends of the Public Art League. RSVP here by December 6. Hope you can make it! "Adam and Eve Mourning Over the Soul of Abel"
by Bryan W. Massey, Sr. 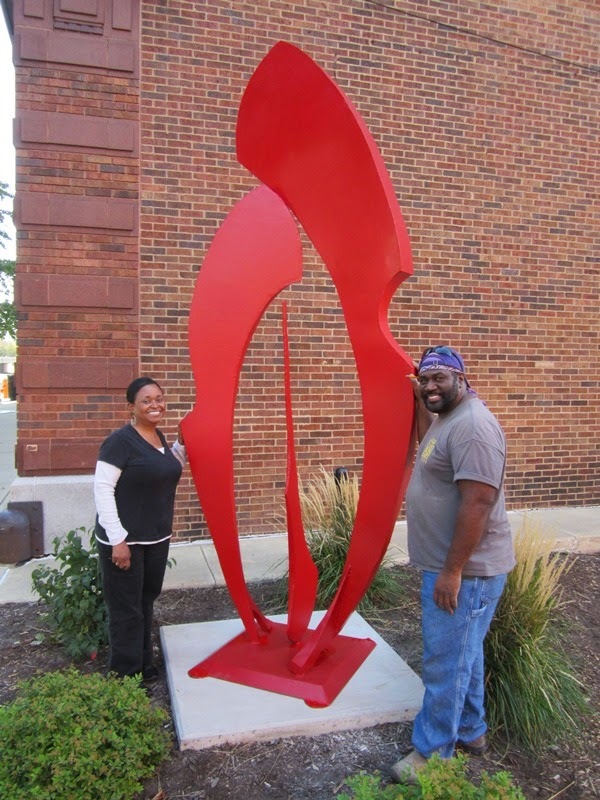 The Public Art League is proud to announce the installation of "Adam & Eve Mourning Over the Soul of Abel," a sculpture by Bryan W. Massey, Sr. 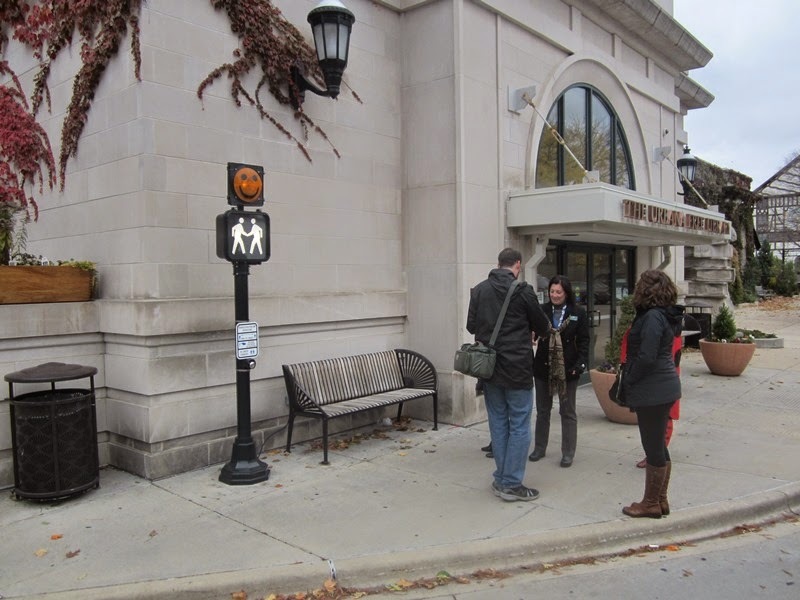 The Public Art League worked with the ownership of the Lincoln Building during the morning of September 26th to complete the installation near Main and Market Streets in downtown Champaign. Adam & Eve Mourning Over the Soul of Abel represents the 47th sculpture Public Art League has brought to the community, and its installation is possible thanks to the generous support of The Lincoln Building. Bryan W. Massey has been a professor in the Department of Art at the University of Central Arkansas for over 25 years. His media includes steel as well as stone such as alabaster, soapstone, limestone, marble and granite. He also casts in iron, bronze, and aluminum. Of these materials, Massey has said, “I have selected media that can be difficult to manipulate at times, but that is the challenge. Will I be able to cut, carve, grind, or weld the material into my submissive will to create very enlightening and interesting forms or three dimensional shapes that sometimes seem to defy gravity and the intent of that particular medium?” His talent has been recognized with scores of awards, exhibitions, and commissions. Notably, his work The Jazz Player was selected and presented to former President Bill Clinton for the celebration and commemoration of the fifth year anniversary of the Clinton Presidential Center in Little Rock, Arkansas. with "Adam and Eve Mourning Over the Soul of Abel"
"Spiral the Gate," a sculpture by Ray Katz (Pontiac, MI), now greets visitors to Porter Park from Rising Road. 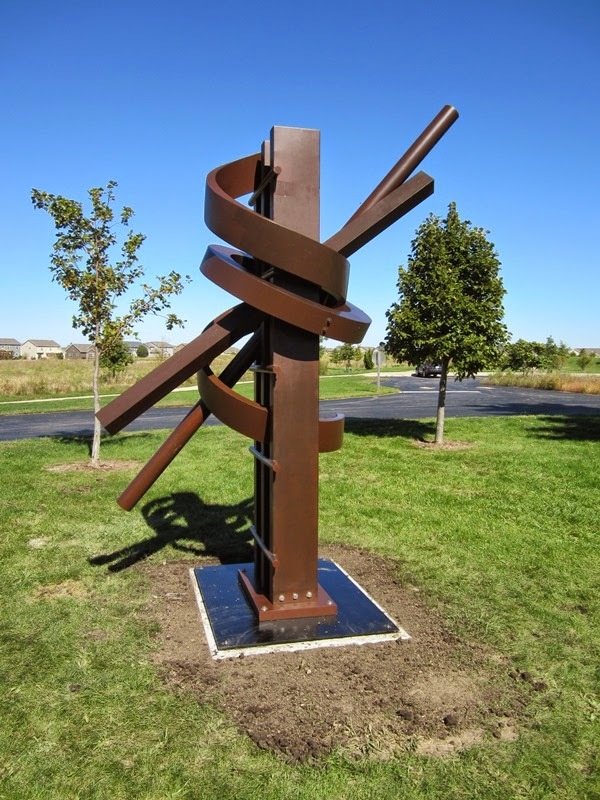 The sculpture's installation was possible thanks to the generous support of the Champaign Park District. Ray Katz’s experience as an artist has spanned five decades, beginning with his undergraduate and graduate education in drawing, ceramics, and sculpture. 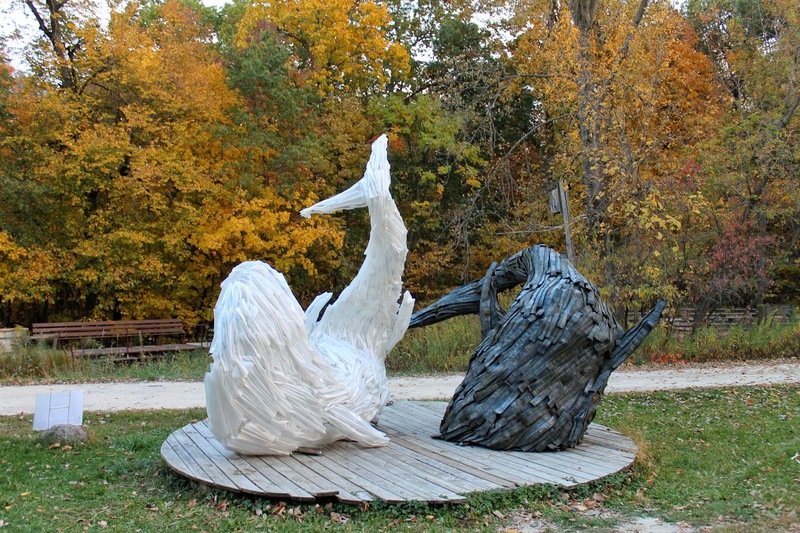 His sculptures have been featured in several one-person exhibitions, as well as dozens of public exhibitions and galleries, across the country. 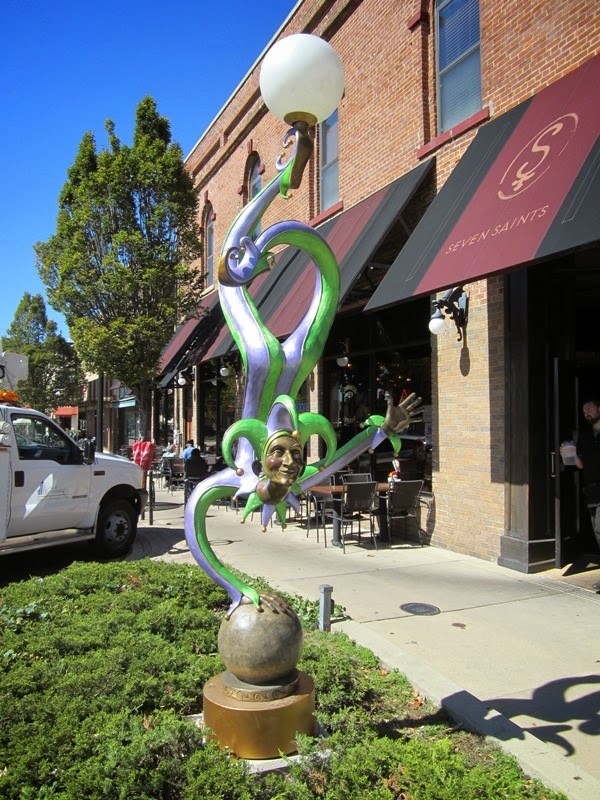 Welcoming visitors to downtown Champaign on University Ave. from the east is "Jester Street Light," a sculpture by Kimber Fiebiger (Minneapolis, MN). 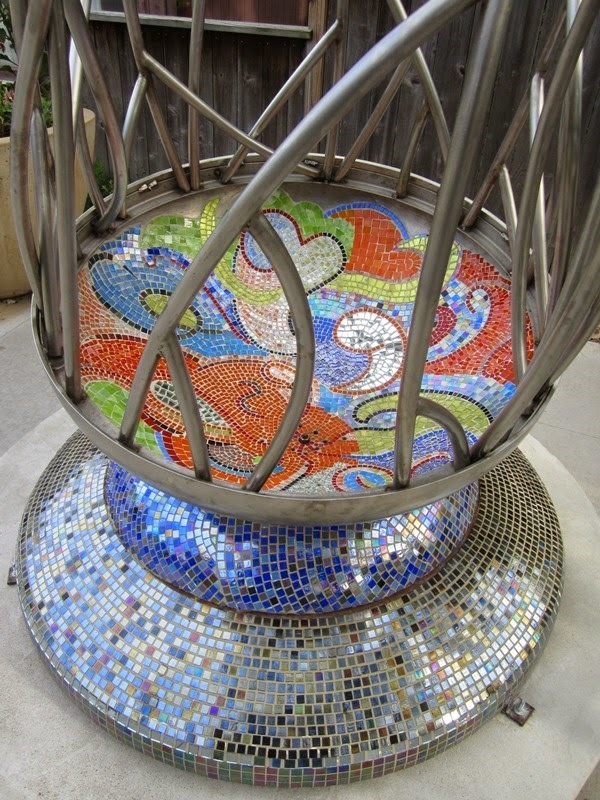 The piece is located on the corner of University and Market Streets by 7 Saints and it is a functioning street light (a little more fun than the others). The sculpture's installation was made possible thanks to the generous support of the City of Champaign. Kimber Fiebiger received her BFA from the University of Minnesota, where she was the only woman in her class. She has been creating sculptures for over 30 years and though she still maintains her gallery in Minneapolis, her work has been on exhibition across the country, in Texas, California, Florida, Arizona, and Illinois. Her portfolio ranges from fun and whimsical to classical and contemporary. In her own words, the Jester Collection was made to make people laugh, to amuse, and, as the real jesters throughout history, their facial expressions are a characterization of common sense and honesty of a character that was used for their insight and advice. The Public Art League sends a big thank you to Michael and JoAnn Henneman for purchasing "Rules of Civility" (by Kristin Garnant of Camanche, IA). The Hennemans saw the sculpture at our unveiling party earlier this year and loved it so much...they bought it! 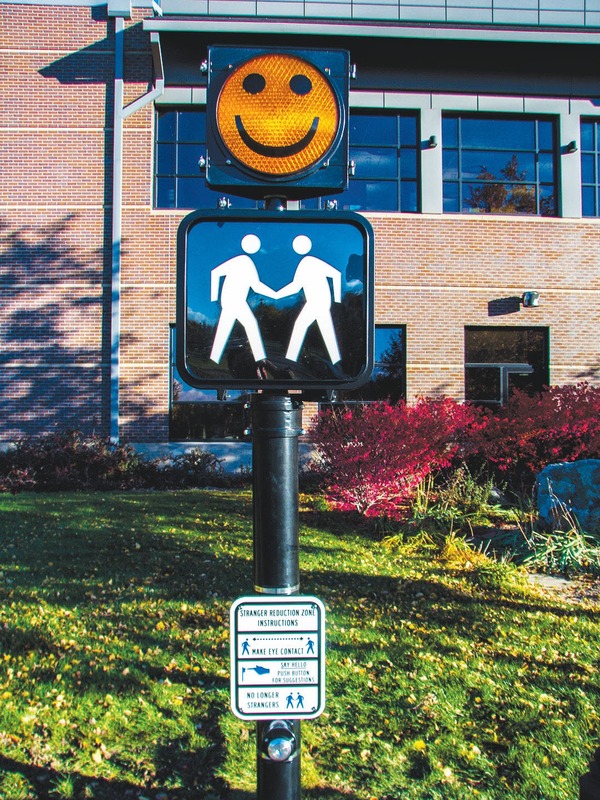 “Rules of Civility” is currently installed outside the Henneman Engineering, Inc. building at 1605 S. State St. in Champaign. 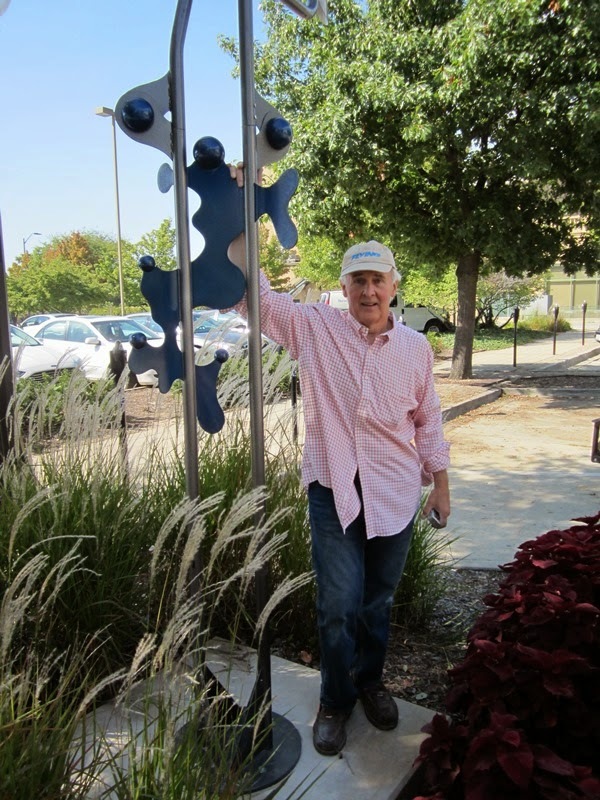 Thanks to the Hennemans for supporting and contributing to public art in our community! 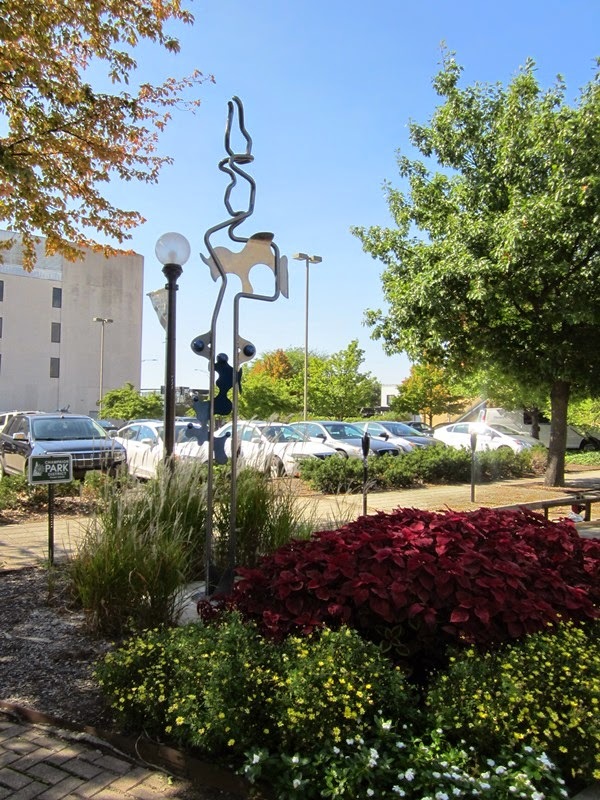 Downtown Champaign Welcomes "Pipe Trapped Apparitions"
The Public Art League is proud to announce the installation of Pipe Trapped Apparitions, a sculpture by Charles Yost. 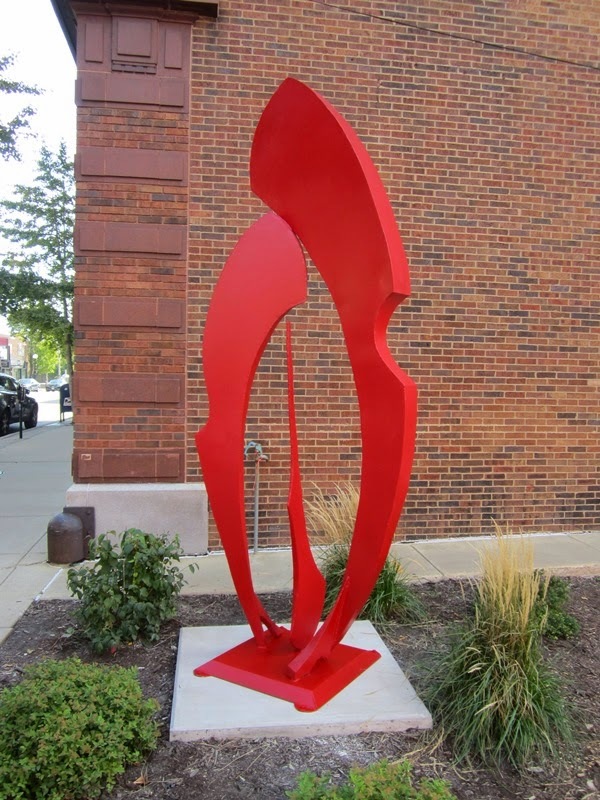 The sculpture was installed on Friday, September 19 on the southwest corner of Park and Randolph Streets in downtown Champaign. 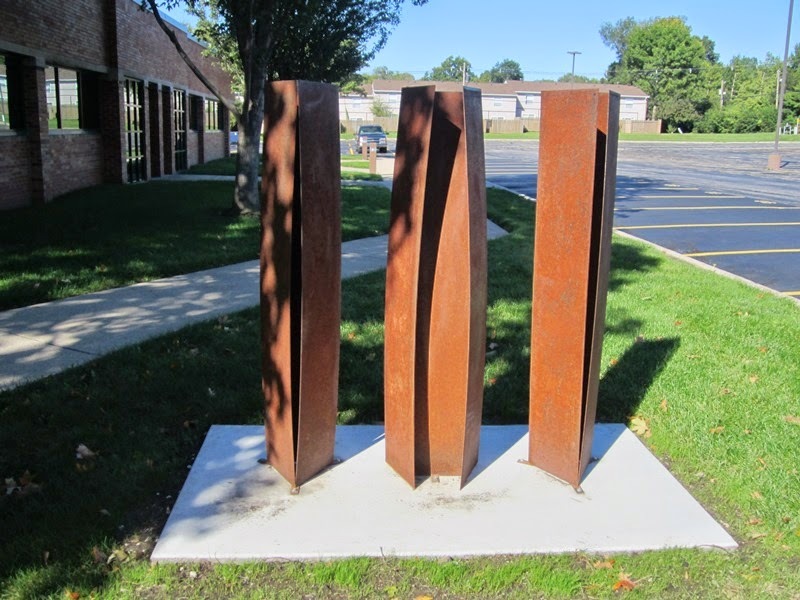 Pipe Trapped Apparitions represents the 43rd sculpture the Public Art League has brought to the community, and its installation is possible thanks to the generous support of the Friends of PAL. The Public Art League is pleased to announce that THEB #1 by Jeffrey Boshart has been purchased by Surface 51 and Mellander Holdings, LLC. The sculpture's new owners originally leased the piece as part of the PAL program in 2012. 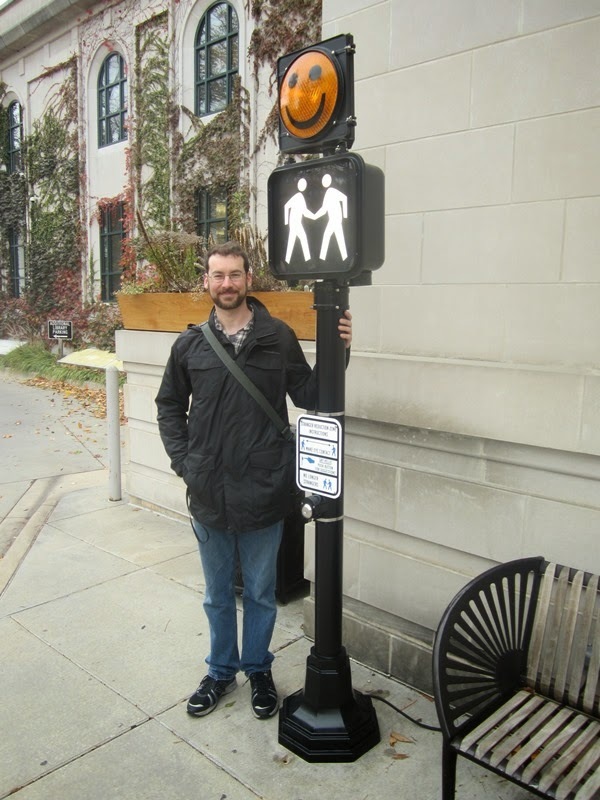 THEB #1 will remain installed on N. Neil Street (next to Blue Line Station) and provide a great welcome to downtown Champaign from the north. 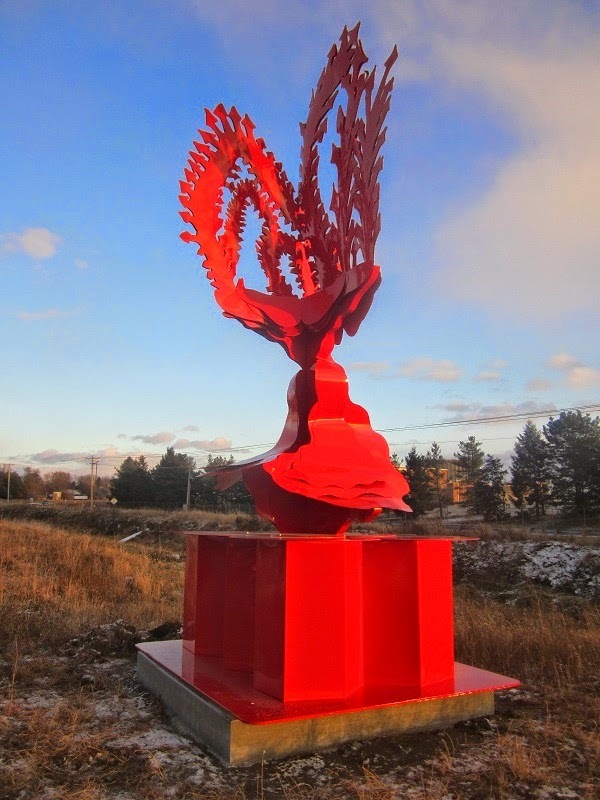 The Public Art League is proud to announce the installation of Asteray, a sculpture by Nicole Beck. 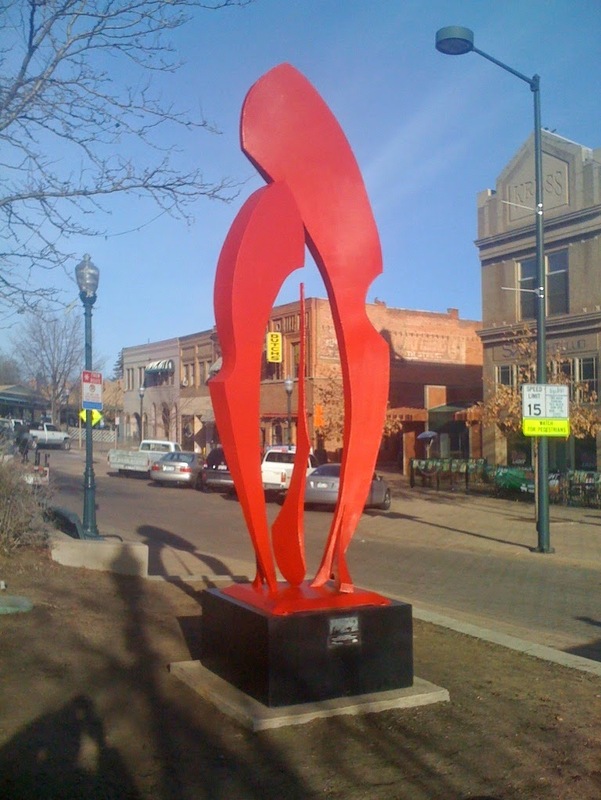 The Public Art League worked with the City of Urbana to complete the installation near the corner of Green and Cedar streets in downtown Urbana. 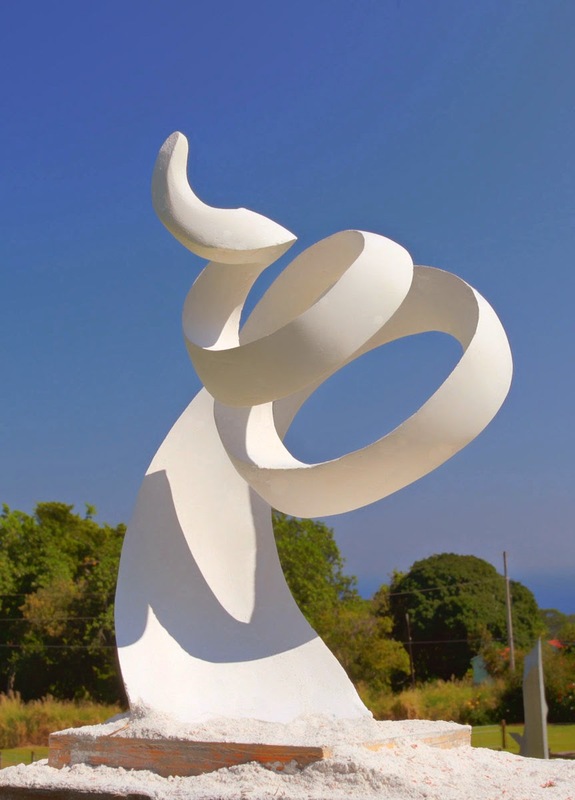 Asteray represents the 42nd sculpture the Public Art League has brought to the community, and its installation is possible thanks to the generous support of Barak Rosenshine. 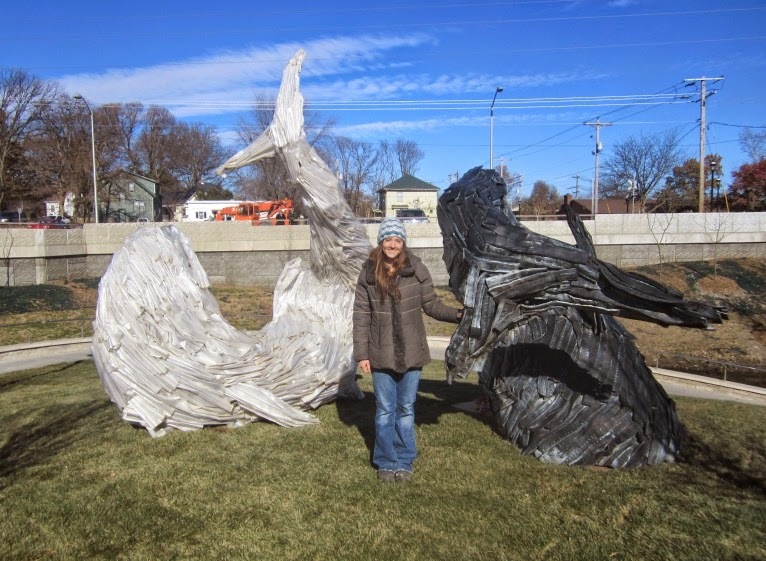 Nicole Beck is a sculptor with strong ties to Illinois and Champaign-Urbana in particular, with her pieces Astroterra and Foxgloves featured in the community from 2011-2013, and Amplifiers scheduled for future installation on the University of Illinois campus. 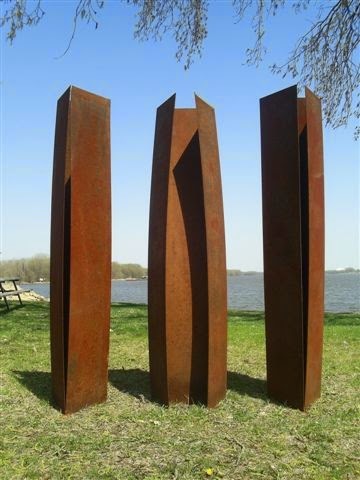 In addition, her sculptures have been featured in numerous exhibits in Chicago, including Avenue of Sculpture at Merchandise Mart, Art in the Gardens at Grant Park, and the Clark Street Sculpture Exhibition, which described her work as “abstracted apparatus and organic forms juxtaposed as poetic metaphors for archetypes of the flow and balance of energy and life systems”. The Public Art League is proud to announce the installation of "Reflective Moments" by artist Ruth Gee at Allerton Park in Monticello. The piece was unveiled at a ceremony held at the Park on Friday, August 8. 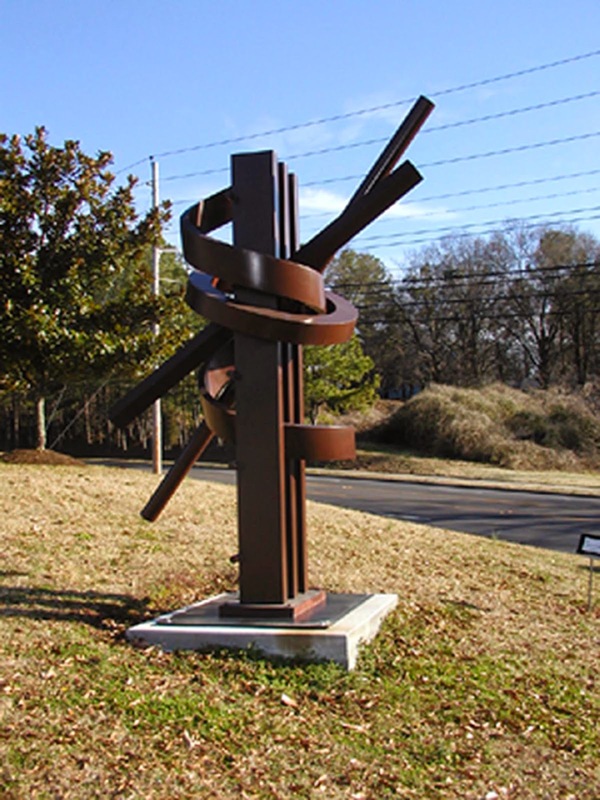 The sculpture can be found just north of the Visitor's Center and represents the first new piece of art installed at Allerton since 1942. 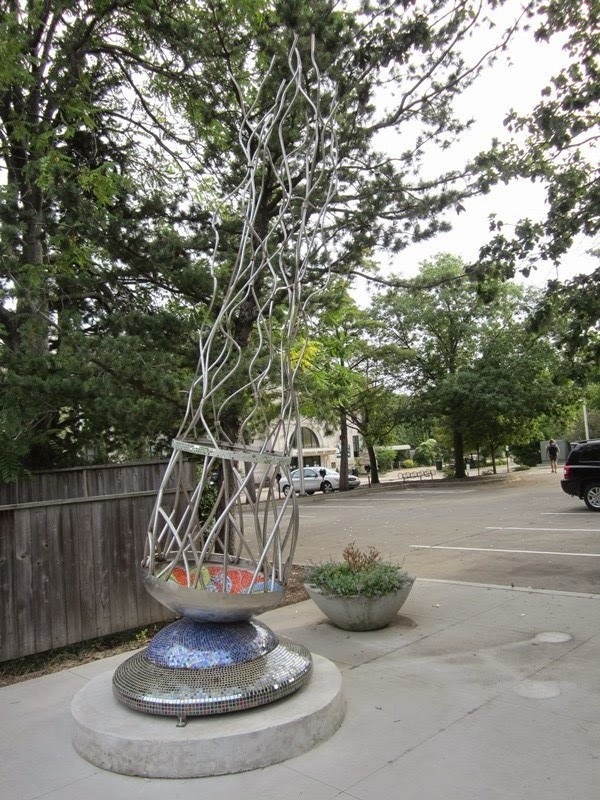 "Reflective Moments" is the first sculpture installed from those accepted by the Public Art League in 2014. It is the 42nd sculpture installed since PAL formed in 2010. On Friday August 8th at 5:30 pm, Allerton Park & Retreat Center, alongside the Public Art League, will unveil the first new piece of art at Allerton Park since 1942. Allerton Park & Retreat Center invites the public to the unveiling of Reflective Moments, the newest sculpture in the Allerton collection. Reflective Moments is a sculpted bronze piece produced by Ruth Gee, an artist from Hastings, Michigan. The unveiling will be held just north of the Visitor Center, where Reflective Moments will engage visitors for years to come. A Concerts in the Park series Bluegrass Concert will follow the unveiling, on the Allerton Gate House Lawn at 6 pm. 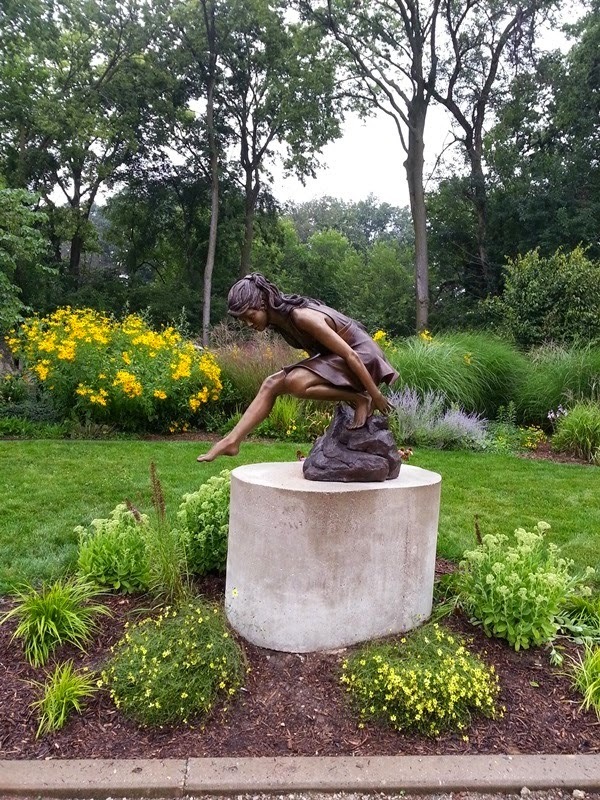 Robert Allerton¹s extensive sculpture collection is widely known, and the Allerton staff is proud to carry on his legacy by adding a new piece this summer. Derek Peterson, Associate Director at Allerton, says, "We were very careful in choosing a piece; we wanted the new to blend with the old. Allerton was constantly adding to his collection, and we wanted to continue in that tradition, while respecting the historic significance." Allerton staff worked with the Public Art League to lease the sculpture, which will be housed at Allerton for the next two years. "We hope to continue to add to Allerton's art collection as well over time," notes Peterson.